Having heard Shane interview author Michael Brady on the show nearly a year ago, Into The Shadows: The Fever has long been on my radar. It wasn’t until Spy-Con this past spring that I finally acquired a copy of the novel in question and only in the last couple of weeks that I’ve had the chance to read it. What a read it turned out to be. If you’ve heard Episode 20, you’ll likely know about the novel already, but I’ll offer a quick summary of it here. The Fever follows Michael Brennan, a career CIA non-official cover (NOC) intelligence officer, sent to the Middle East as part of the ongoing conflict against Islamic State. Working alongside Mossad false flag agent Elif Turan, he eventually becomes involved in a race against time to stop a plan by the group to release the deadly Ebola virus into New York City. He isn’t alone though, working alongside not just Elif but also backed by analysts and members of numerous government agencies. 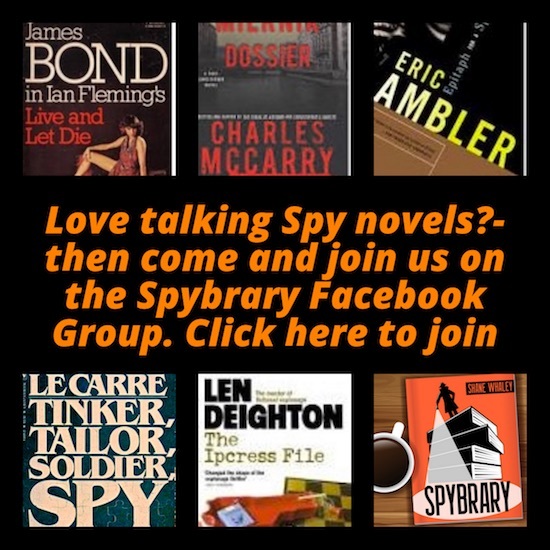 Reading the novel, I couldn’t help recalling some of my favorite spy writers. Top of that list was Tom Clancy, particularly at his prime. Brady brings Clancy’s sense of realism and how hardware works to bare throughout from when he’s describing drone technology to firearms and imaging technology. Thankfully he also avoids the gratuitousness Clancy brought to that later in his career, which allows the novel to flow nicely. 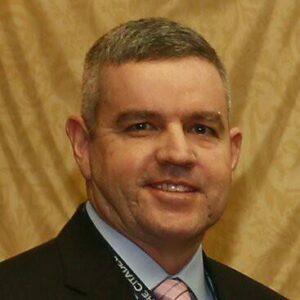 Combined with Brady’s own experience as a retired Lieutenant Colonel and former director of the Presidential Emergency Operations Center in the White House, it’s something which also gives the reader an insight into the modern intelligence world. That goes alongside echoes of another writer I thought of when reading the novel: Frederick Forsyth. Establishing his fiction around the factual 2014 Ebola outbreak, Brady creates a credible framework in which events play out. We get to watch not only Brennan on his mission but also others involved ranging from members of Turkish intelligence to ISIS leadership and those who offer aide on both sides. We also get to see, through the character of Manjo, the makings of a jihadist as we see him go from a farmer to someone willing to commit terror in the name of ISIS. If someone wanted a Forsyth style novel about bio-terrorism, this would be it with a small dash of Fleming thrown in as the book takes readers from the Middle East to Africa, the Caribbean, and New York City. 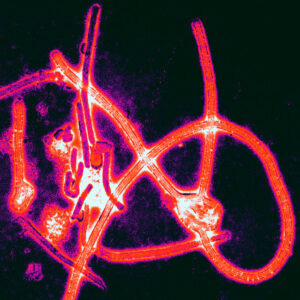 The Ebola virus, which plays a large role in the novel’s plot, as seen using electron micrograph. Neither Brady or his book is trading on past tropes. Brady’s debut is a striking one, told in punchy sentences and brief chapters that makes the reader wonder what’s going to happen when they flip the pages. Nor is Brady keen to wallow in frilly or over the top prose with author and character likewise intent on never wasting a moment of their time nor the readers. And yet characters feel real even without pages of background information, a nice change from some works in the genre that will halt the action for pages at a time to tell a character’s life story. It’s not quite a perfect novel as there’s the odd bit of slightly stilted dialogue in a couple of places and a thread or two that never seems to go anywhere major (especially one late in the book) yet these are minor quibbles. Even with minor quibbles, on the whole, Into The Shadows: The Fever is a fantastic read. It’s a fast paced yet informative read, one that educates the reader on the modern world of intelligence gathering without ever sacrificing pace or characters in the name of thrills and realism. With the second novel in the series The Assassination Corps dropping in September, now is an excellent time to give this a go. 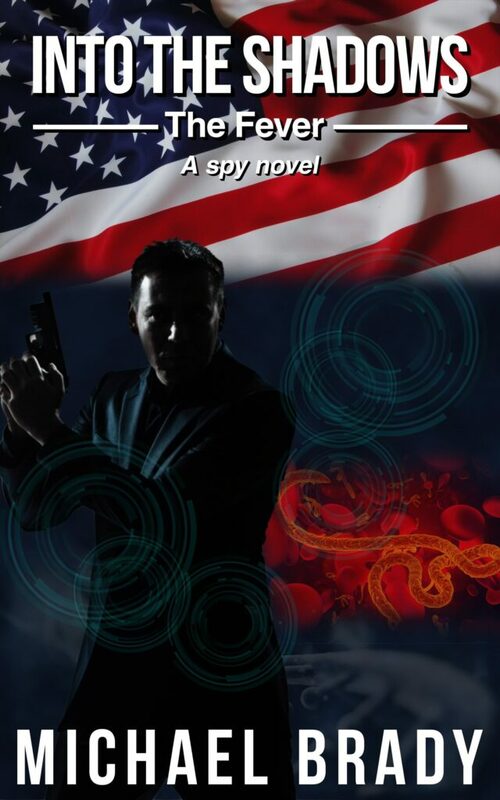 You’ll get the chance to read the man who deserves to be the next Tom Clancy before everyone else hopefully does.